But at the end I don’t turn left towards the hotel. 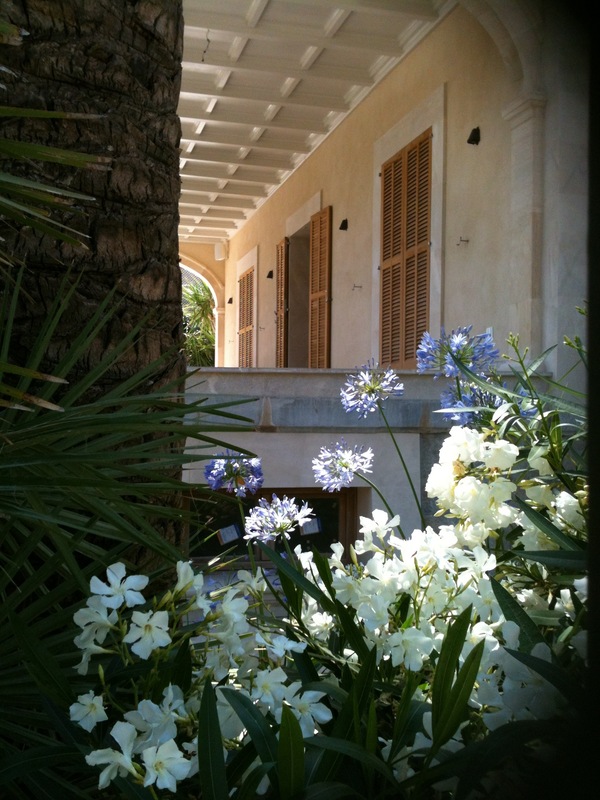 Instead I turn right, taking the path that runs behind the old stone villa with the shady garden of pine and palm trees. Only a matter of fifteen metres and I turn left again. And no matter how many times I do this walk, (which is a lot), I always have to stop. Because here, framed by the wall to the left of me and the stone building on my right, is the best view in the world. 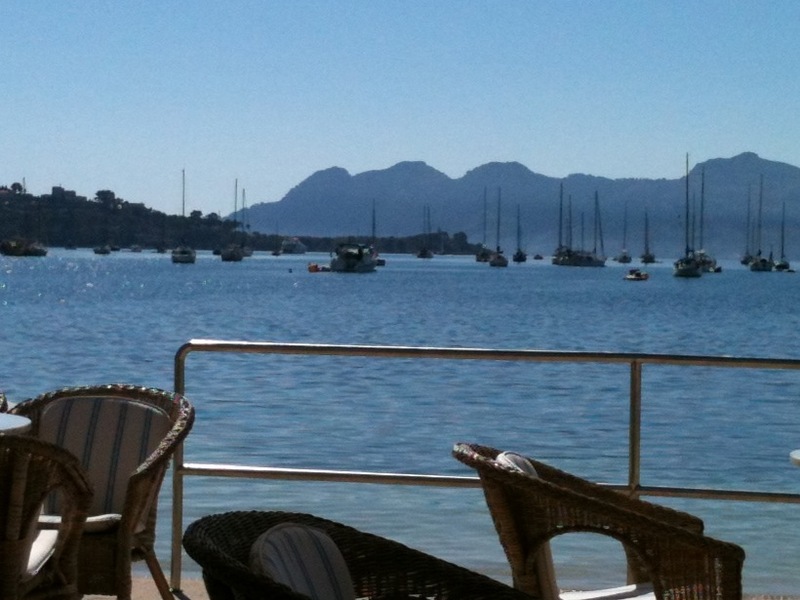 The blue water of Pollenca Bay, stretching out in front of me like it knew I was coming and has been waiting for me. Pine Walk. 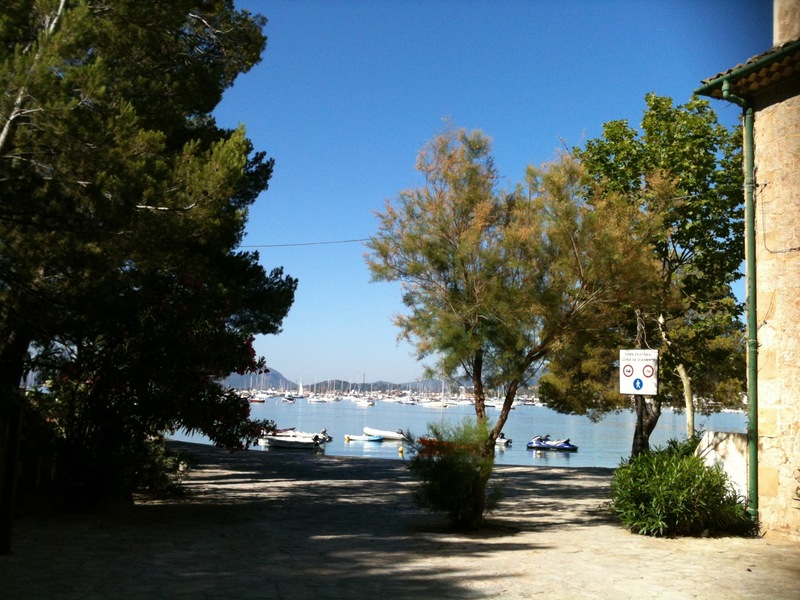 Half a mile of pathway that meanders under the ancient pine trees, along the edge of the bay, into the centre of the port of Pollenca. I walk by the edge of water so clear I can see fish darting away from my shadow. Past the graceful old villas owned by the Spanish families who can be seen sitting out on warm nights, gossiping and laughing together, their children playing by the edge of the sea. In recent years some of the villas have been crumbling, the paintwork on the wooden shutters cracked and fading, their balconies propped up by acros. But the past couple of years have seen a transformation – those villas that have been left to decay have had a facelift. They’ve been restored to utter gorgeousness. When the Spanish do style they really do style. Elegant, understated, fabulous. As I walk I get a stiff neck craning, trying to peer in and see what new wonders have been introduced while I’ve been away. Things might be tough in mainland Spain but you’d never think it on this island. From where I stand the horseshoe bay seems totally enclosed, more lake than sea. The water stays shallow for metres out, tempting even as unenthusiastic a swimmer as me to paddle, sand reassuringly firm under my feet, until I take a deep breath and plunge forwards. And you know what…. it’s not cold at all. Of course it isn’t. What did I tell you? It’s blissfully wonderfully warm. I know I’m coming to the end of Pine Walk when I reach the first of the restaurants and hotels that look out across the bay. But I don’t stop. I keep going until I get to Cappucino. The bar that opened a few years ago in the old Sis Pins hotel. Cafe con leche, (or, if it’s that time of day, Gin and Tonics so big I could swim in them), chill out jazz playing softly, and a view to die for. Fabulous this brought back memories. 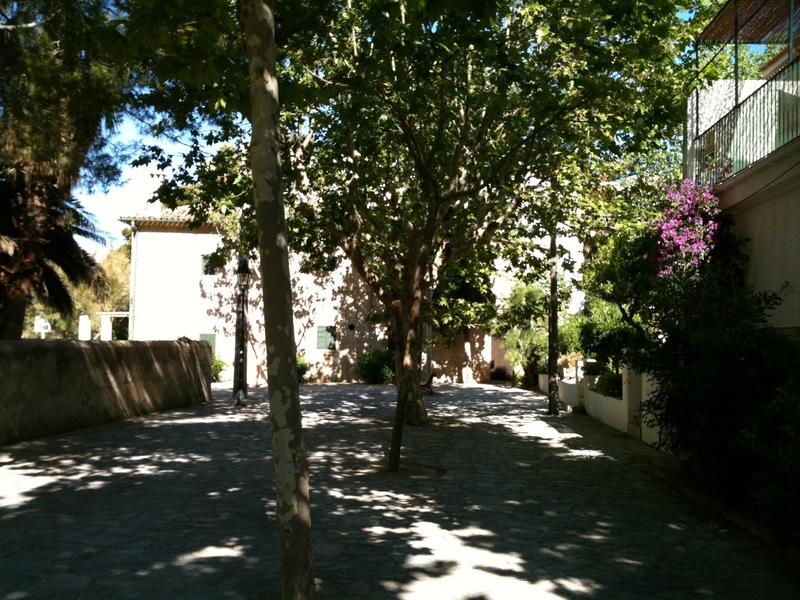 We go to Mallorca at least twice a year, and even though we have been visiting since the late 80’s the charm never dies. When I am stressed I close my eyes and visualise the bay, beautiful, blue, and relaxing, and it seems to work. 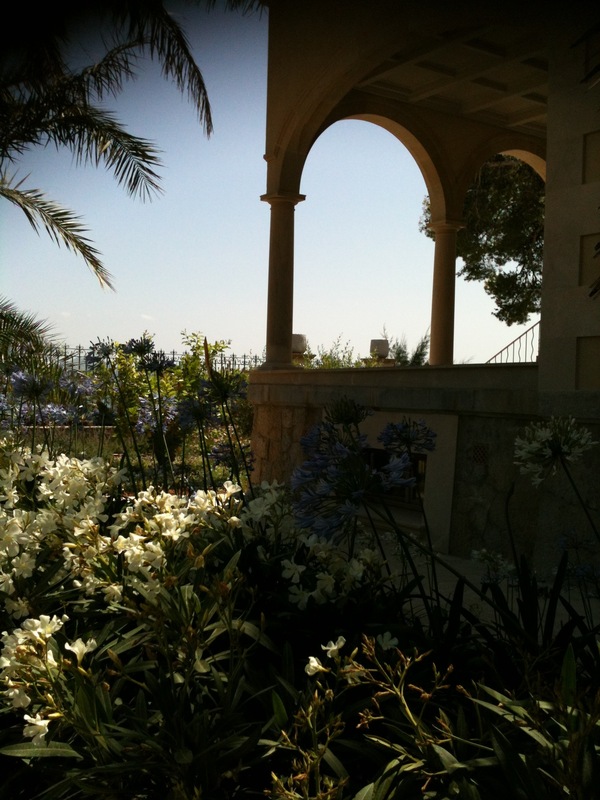 We have a villa a little inland but I adore the place and you made it come alive. Wonderful, absolutely wonderful….I was with you every step of the way, a magical walk that I have enjoyed so often. Wish I was there now! Only a person that has this place etched deep in their soul as I do could have put that into words that need nothing more. It’s a spiritual thing that very few people ever get to feel about a place. I count myself as one of the lucky ones. Thanks for putting it in print. My eyes filled up when i read your wonderful walk.We were staying there 2 weeks ago and do the walk several times a day.A friend asks me what it is that makes us keep returning.Your blog has it to a T.Loved the garden as well. I hope you don’t mind,Jane,I have shared this on my FB..you have summed up perfectly how me and my family feel about ‘our’ PP..after many years of renting apartments and villas for holidays’en famille’..Bob and I are now very happy to stay at the wonderful Hotel Miramar..looking forward to our second visit there this year,at the end of September..I am sure we must have crossed paths on the Pinewalk many times over the years..thank you for your lovely words and pictures.. Thank you ! 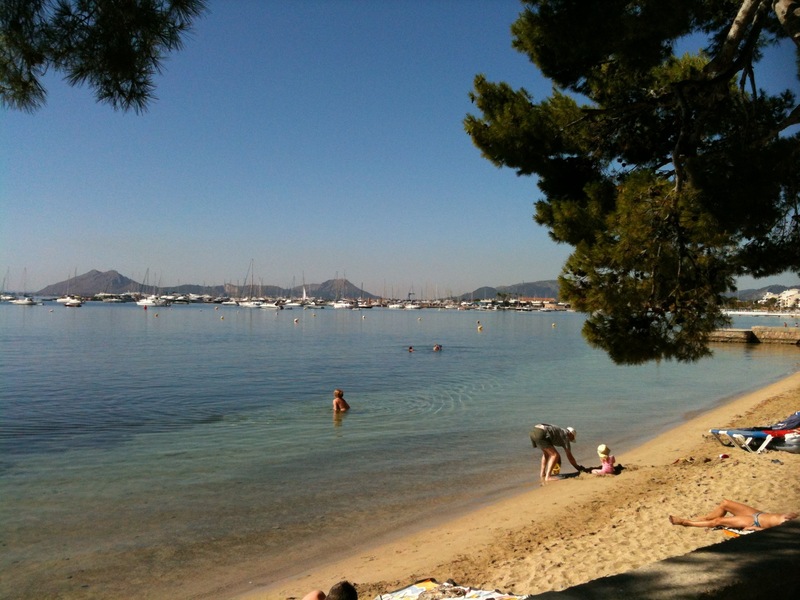 Just returned from Puerto Pollensa a couple of weeks ago, it was nice to be back again even for just a few minutes today thanks to your blog.. Being going there since 1981, with very few years missed, even if just for a brief visit.